Thanks for being part of my journey on .wordpress.com – I’m so amazed each time I hear from one of you, and I’ve never felt more connected! I started out http://www.memoirsoftaste.wordpress.com as a sort of challenge for the year of 2015. I start each year with a list of things I’d like to accomplished, and to those of you who’d asked, I’d shared that it was my way of documenting the things I love most – Food, travel – and also a way for me to share the things and moments which moved or inspired me. But now I want to make it a commitment – I want to keep writing, I want to keep sharing, and I want to keep getting to know each one of you. I’m excited about the road ahead, and I hope that you’ll join me at www.memoirsoftaste.com. If you’re already following me, just make sure you click for notifications again so that you’ll get my posts in your feed (because I hear this doesn’t happen automatically although I’ve taken you all (a.k.a. “migrated”) with me already)! Big smiles and big hugs to everyone, and ttys! Lunch on weekdays is mostly a snappy affair, and Teppei feels like just that – except the bit about there being a long queue, and it helps to be “prepared”. Needless to say, the hottest dish in the house is the Barachirashi Don at $17.90. Here’s the low-down. 2. 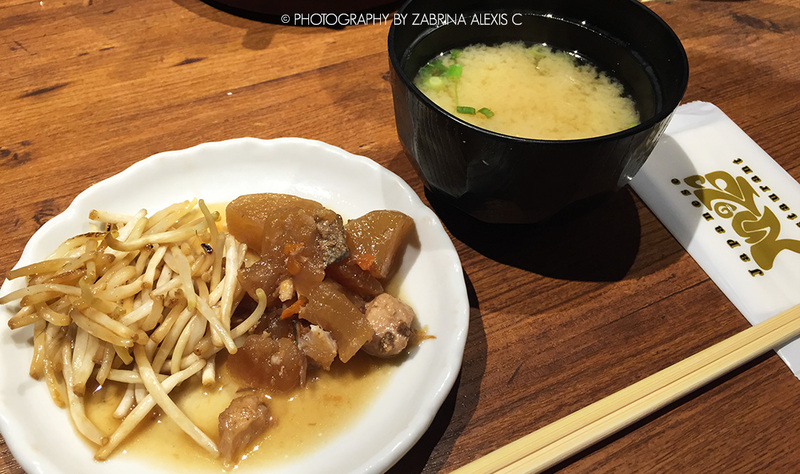 You love daikon (raddish in a light gravy) and beansprouts – these are free-flow at the table so that’s a double yes from me! 2. 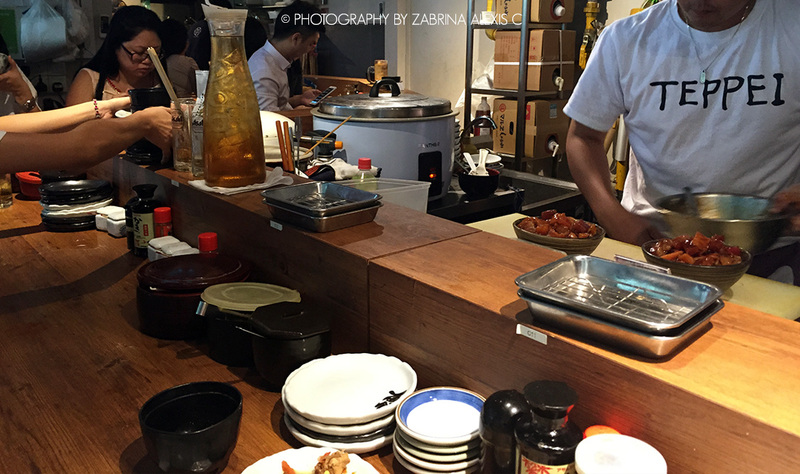 You like relaxing lunches – The pace at Teppei is quick; orders taken, orders prepared, orders served like clockwork. We couldn’t help but feel the pressure to eat quickly and leave. 1. Go before 11.50am if possible, because the queue gets really long and the wait can be easily over half an hour. 2. Know what to order before you enter – especially if you’re going to be spending some time in the queue, eyeball the menus displayed outside and decide. That’s because once seated, the waitress will come (possibly Without a menu) to take your order. If you’re taking too long to decide, she will be standing in the narrow aisle blocking everyone who’s trying to get in or get out. If all else fails, you can’t go too wrong with the Barachirashi don. 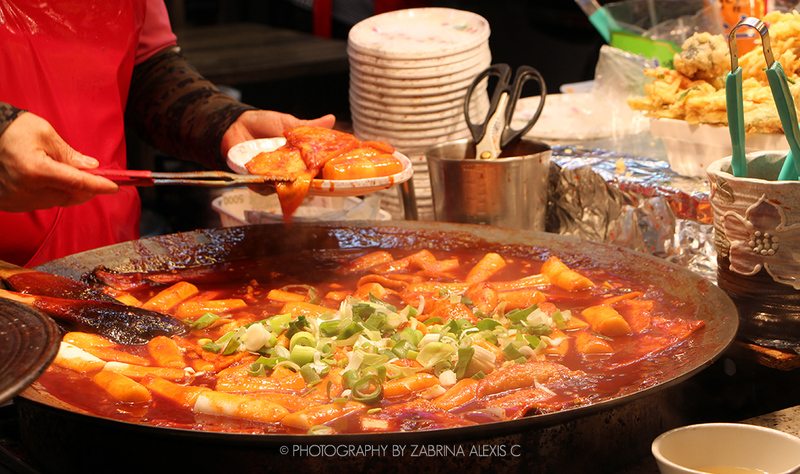 Dwaeji Gukbap is a specialty of the Gyeongsangnam province, which the Southeastern part of South Korea. It’s a very very simple, unpretentious dish, and a comfort food in all aspects – I can’t tell you how good this tastes especially when you’ve been out in the cold! 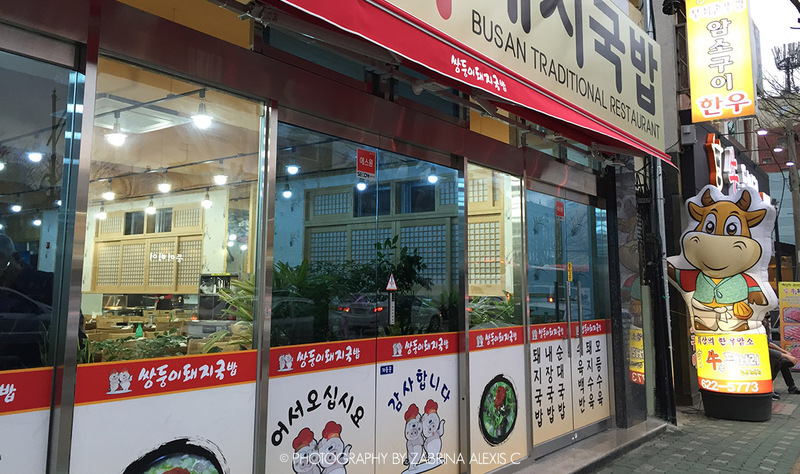 Since Busan is supposed to have some of the best renditions of this dish, I stalked out what was considered to be the best one, and made sure we stopped over for dinner right after our visit to Busan museum. It’s right within walking distance from Busan museum, and better still, right along the straight route back to the metro station. I was obediently going in the direction of the red pin in Google maps until we chanced upon the store front at 35-1 UN Pyeonghwa-ro from which I immediately recognised the logo of the two pigs with red chef hats. A row of flower arrangements and wreaths lined its entrance, and the interior was clean and spacious – nothing like what other reviews had said to be “extremely crowded” and having “a long queue even at 3pm”. 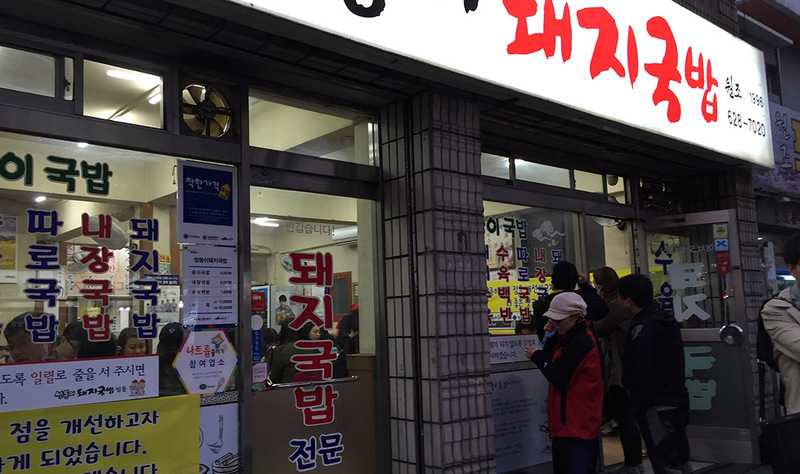 As it turns out Ssangdoongi Dwaeji Gukbap is so popular that this was its newly-opened 2nd store. So inexpensive! 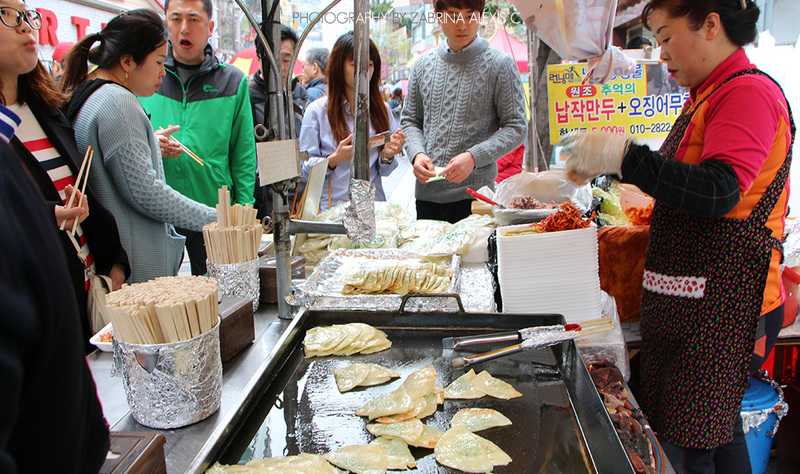 They had a sort of hotpot version with vegetable wraps but we went with what Ssangdoongi was famous for – the original gukbap at 6000KRW. 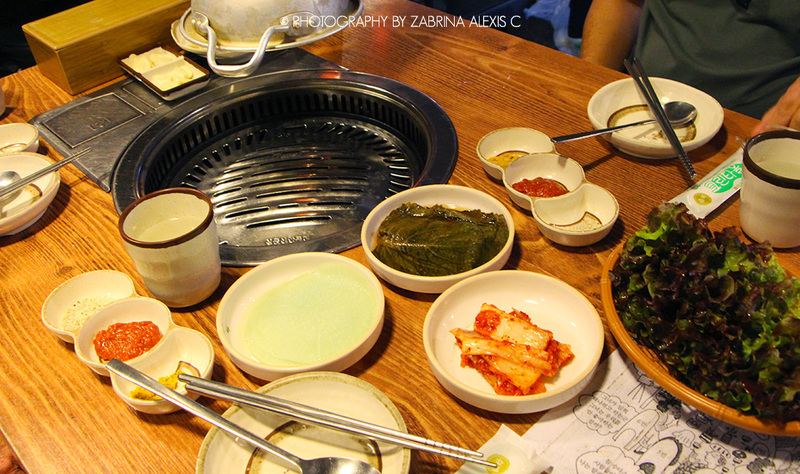 Since this was Korea, we did it K-style and called for a makgeolli at 3000KRW to go with. 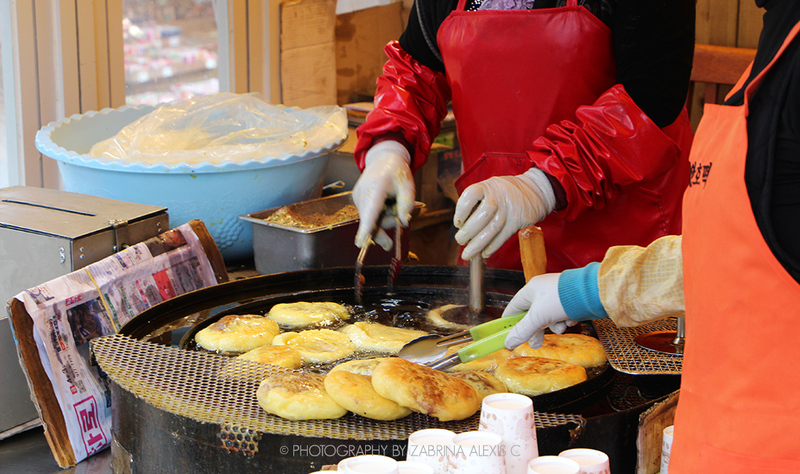 Food is fuss-free, very affordable, and great in the tummy on a cold day. With rigid-looking wooden tables and chairs and a metal-sheet counter top at the far end, ambience is obviously not their forte – but then again, who cares? The original restaurant (nearer the metro and about 5 mins from the newer one) is more compact with a more old-school feel, but really, walk that extra 5 mins if you want to skip the queue. 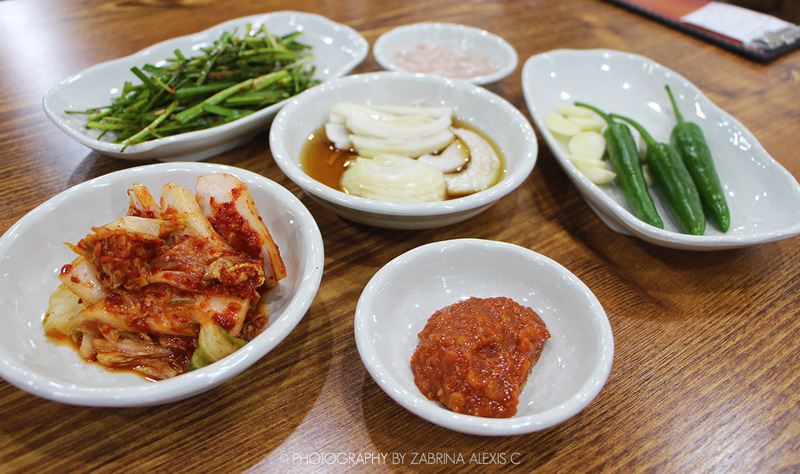 Like well-behaved pupils, we eagerly flavoured the dish with the garlic chives, tiny salty shrimp (which we happily called out as cincalok) and the red pepper paste as instructed by the waitress. 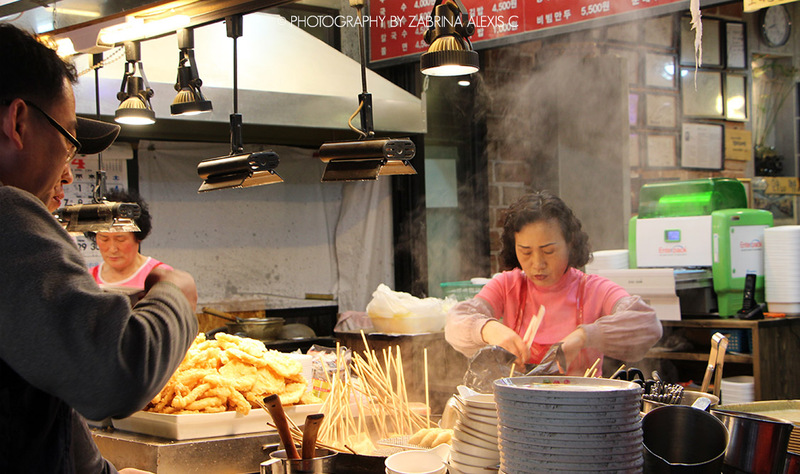 The serving of pork is generous for the price – we kept magically unearthing pork from below the rice – and tender, with fats I’d imagine contains collagen which is all the Asian rage about being good for the skin right now. The broth was light, very tasty and when had together with the rice, reminded me of teochew porridge back at home. We took a 3.5hr ride on the KTX to Busan, a busy port city on the Southern coast of South Korea, where we were to spend the next 4 nights. If you were to look at the map, Busan has 3 parts of its coast that juts out a little into the ocean – that’s also where most of the attractions are concentrated. The Busan museum (부산시립박물관) in Namgu, on the middle jutter-outer, has 3 levels of sprawling exhibitions from displays of artefacts – anything from bowls to tools to rust-eaten swords to life-sized mock-ups of blacksmith shops and fishmonger stalls. I personally am not really a history buff, so these didn’t interest me at all (unless we’re talking about European palaces, which is a different story). 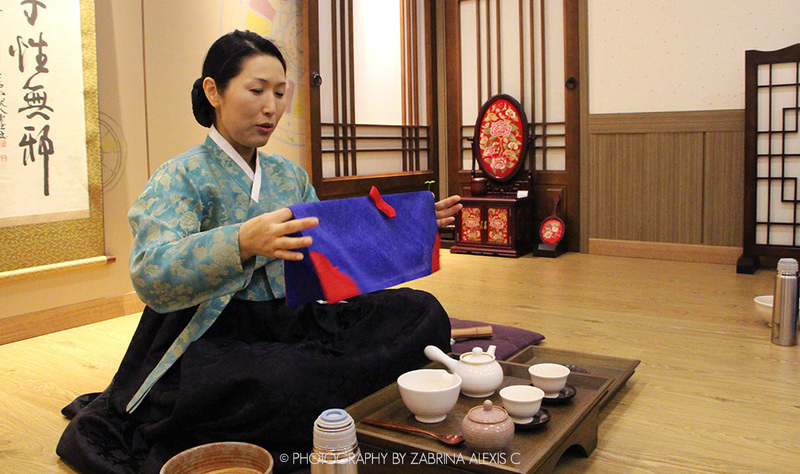 Rather, we were there because the museum has a Cultural Experience hall at which you could try on traditional outfits like hanbok, Gonryongpo, Ikseongwan, Wosam, etc. And also had a Tea ceremony where we could try our hand at making tea – which, might I add, is a very intentional, delicate and lengthy process full of repetition and small hand gestures and placements, but constituted a whole lot of fun learning. 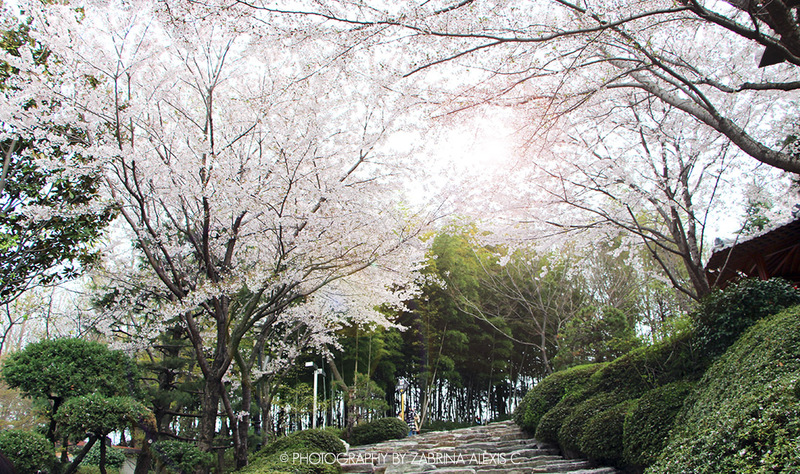 What most people might not know is that in the right season, Busan Museum has a gorgeous outdoor garden which you can slip into from the path on the right. 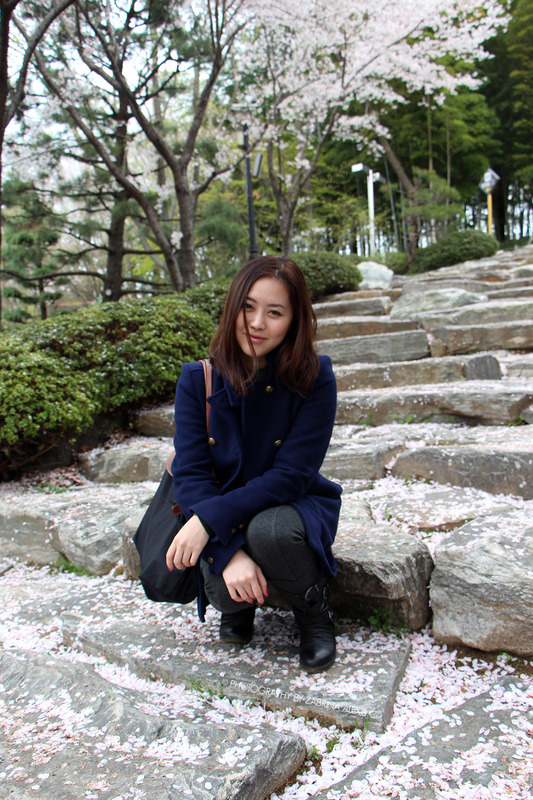 We chanced upon it because we were killing some time before the tea ceremony at 4.30pm. I remember the scene unfolding before my eyes – cherry blossom trees in full bloom, lined up along the broad stone pathway all the way to the top of the hill, a heavy sprinkling of pale pink ‘snow’ strewn underfoot – to which I found that I could not resist staring at the ground. 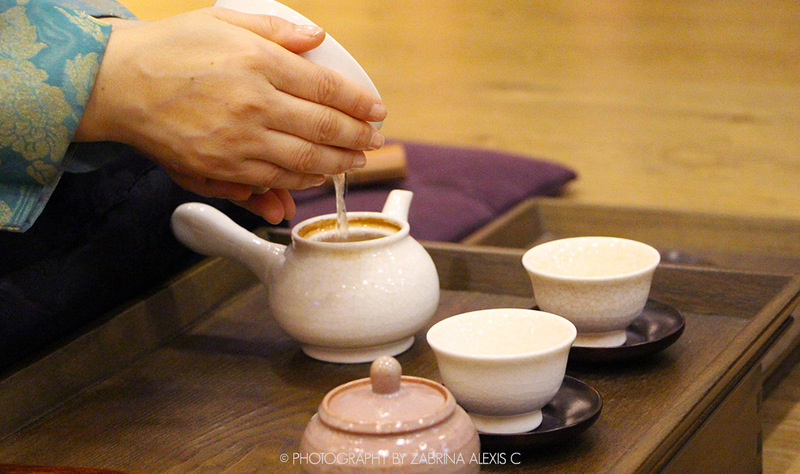 Opens from 9am to 8pm daily (Closed on Mondays); Tea Ceremony Timings 10.30am, 1.30pm, 3pm and 4.30pm (Please note that you have to be there in person to book the slot).